Welcome to the most comprehensive guide to the best laptops of 2019 on the web. The T3 experts have compiled an essential list of the best laptops, whatever your needs and budget – we've made sure to include a wide selection of system types, price points, and styles to make our guide as complete as possible. More 2019 sales keep appearing too, so whatever time of year you're shopping, you should be able to pick up a decent bargain if you shop around. A host of retailers are offering significant discounts systems with plenty of power and quality. Whether you're looking for a versatile 2-in-1 hybrid, a high performance gaming portable, a budget bargain system or a top-quality laptop in the traditional style, we've got the best laptop in 2019 for you right here. With so many laptop makers producing so many quality computers at the moment, picking a machine that's right for you – and at a good price point – can be quite a challenge, though. Long lists of tech spec jargon and indecipherable numbering systems don't help much either. That's where we come in: our picks of the very best laptops on the market in 2019 mean don't have to do any of the legwork. 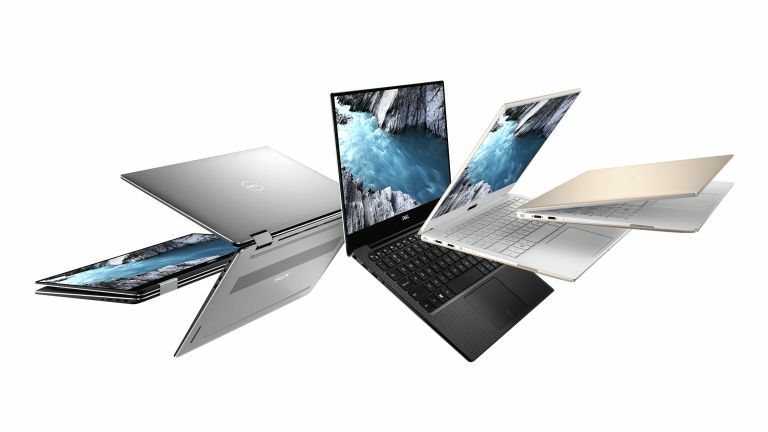 Whether you're tempted by the new Dell XPS 13, or more taken with the hyper-luxe Microsoft Surface Book 2, or simply after the best-value laptop bargain possible, we're very confident you'll find something to suit in this list. Make sure you consider your intended usage scenarios before pulling the trigger on a laptop upgrade. In the dim and distant past you could probably get a laptop for a minimum of £500 and spend up to £2,000 or even more on a top-end one. Some can certainly come in on the high end of that range, even now. But we've recently seen Chromebooks appear, offering dirt-cheap portable computing with features that are enough for a lot of users – like students and people who just need to type while out and about. And, not only that, but what you can do with a £500 laptop has now changed drastically. The appearance of £200 – and sometimes lower – Chromebooks has forced other laptops down in price too. So now you can get laptops for some absurd prices, especially if you pick up a sale bargain. The best laptops list is constantly shifting. At the other end of the scale are new thin and light laptops that aren't so interested in offering value. But they often sport all-metal construction, wafer-thin designs and internal guts that can chew through demanding tasks. So what's best? You need to weigh up both what you're going to use it for – so how powerful it needs to be – and how much weight you're prepared to carry around with you, which will determine screen size. With a little preparation and forethought done in advance, you're ready to check out our list of the best laptops of 2019. The world's best laptop right now? That's the Microsoft Surface Book 2. Microsoft's Surface Book 2 is a 2-in-1 laptop, with a screen that can be detached and used as a tablet, but don't let that fool you – this is a beast of a laptop full stop and a worthy top entry in our best laptop buying guide. Not only is its power unmatched in the 2-in-1 sector, but with a powerful Intel Core i7-8650U processor, Nvidia GeForce GTX 1060 GPU, and stunning 15-inch 3,240 x 2,160 pixel display, it is more than a match for any laptop in this buying guide. It's expensive though – very expensive – and you can get a similar spec for less elsewhere if you sacrifice the ability to detach the screen. However, if you have the budget then this laptop delivers a fantastically powerful and versatile computing experience. If you want Windows 10 but an Apple MacBook aesthetic then the Huawei MateBook X Pro is the laptop for you. The Huawei MateBook X Pro marries form and function with effortless style, delivering an incredibly capable internal hardware suite in a form factor that also matches Apple's MacBook range in terms of dynamite looks and feel. Its sleek design houses a 13.9-inch 3K display, 8th-generation Intel Core CPU, and Nvidia GeForce MX150 2GB GDDR5 GPU, as well as delivering rock solid battery life, too. A stunning addition to the best laptop scene, the Huawei MateBook X Pro has raised the bar considerably for rival manufacturers wanting a seat at the best laptop 2019 table. The Dell XPS 13 is a fantastic all-round system. It sits at the best laptop top table. The mighty Dell XPS 13 is a frequent member of our best laptop buying guides and here, in 2019, it's business as usual. The most recent model moves the webcam back to a more sensible spot above the screen. The machine is thinner and more powerful than ever before, and – screen aficionados rejoice – comes rocking a luxe 4K screen too. The almost bezel-less new design is also absolutely lovely, which squeezes a 13.3-inch screen into an 11-inch frame, and the wide selection of ports is right on the money too. It's expensive, and the stunning Alpine White model is even more so, but it is simply one of the best laptops in the world and an easy recommend for the vast majority of users. The Asus ZenBook Pro 14 features a touchpad that doubles up as a second display. As we note in our official Asus ZenBook Pro 14 review, this "is a laptop that scores highly in a lot of departments. It looks really nice, it has plenty of power under the hood, and the price you're going to pay represents decent value for what you get in return." And, really, that sums it up. Well, that is apart from this system's unique feature - it's ScreenPad. The SceenPad is a large touchpad that can also operate as a second screen, with Windows extendable and certain apps like Microsoft Office and Spotify granting you extra information or controls. It feels indebted to Apple's TouchBar. Specs-wise the Pro 14 really is a rock-solid all-rounder, coming with an 8th-gen quad-core Intel Core i7-8565U processor, 8GB of RAM, and 256GB of SSD storage, as well as an Nvidia GeForce GTX 1050 Max-Q chipset with 2GB of video RAM. In short, it is a powerful machine that will handle most computing tasks with ease. As a technical leader, the Apple MacBook Pro with Touch Bar is the best laptop that Apple has ever made. Simpy put, if you're looking for the best laptop experience from Apple in 2019, then you just found it. The Apple MacBook Pro with Touch Bar packs in some excellent internals, with an Intel Core i5 CPU partnered with 8GB of 2,133MHz RAM, a Intel Iris Plus Graphics 650 GPU, and a 256GB SSD. You can add to that the 13.3-inch 2,560 x 1,600 resolution Retina LED IPS display, which is gorgeous as well. The headline feature though, and one that helps this laptop stand out, is the OLED Touch Bar, which replaces the function keys on previous models to great affect. Simply put, if you like MacBooks and aren't constrained by budget, then this is the best laptop for you. Dell's XPS 15 2-in-1 is one of the best laptops on the market today for users who need hybrid credentials. As we note in our full Dell XPS 15 2-in-1 review, "the Dell XPS 15 2-in-1 is one of the most complete hybrids ever made, scoring big across the board and leaving no obvious weak point for rivals - and critics - to launch a major counter attack. A premium all-rounder 2-in-1 that should appeal to creative tech enthusiasts looking to both work and play hard." A shoo-in on our best laptops 2019 list if ever we saw one, then, and a machine that should be at least considered by anyone who is looking for premium upgrade right now. Yes, the Surface Book 2 does have a little bit more power-wise, and obviously has the ability to eject its screen, too, but the Dell XPS 15 2-in-1 is almost half the price. Users searching for the best laptop for gaming should look no further – it's the Asus ROG Zephyrus GX501. As we noted in our Asus ROG Zephyrus S GX701 review, and then restated in our guide to the best gaming laptops on the market today, this gaming laptop is the absolute best laptop for playing games on the market today in 2019. Building on last year's competition slaying GX501, the new Zephrus ensures it stays on the gaming laptop throne by dialling things up to 11. That means that the system comes rocking an Nvidia GeForce RTX 2080 graphics card (Ray Tracing bliss! ), a juiced up Intel Core i7-8750H CPU capable of running up to 4.1GHz and a 24GB stack of DDR4 RAM. The result of all this top-end gaming hardware is, for a portable machine, ludicrous levels of AAA gaming performance. Metro Exodus, with all graphics settings turned up to maximum, and with the gorgeous Ray Tracing lighting tech enabled, looked absolutely stunning and ran like a dream. Equally, the GX701 crushed our 3DMark benchmark tests, too. A gorgeous and thin magnesium chassis, fantastically engineered vent cooling system, and a 17.3-inch, Full HD (1,920x1,080) IPS, Pantone Validated, 144Hz refresh rate with Nvidia G-Sync panel complete the package. Budget shoppers looking for portable gaming power should definitely take a look at the Dell Inspiron 15 7000. The last few years have seen some of the components that would normally be locked to the very top echelon of laptops slowly trickle down into models that don’t have bank balance-destroying price tags. The Inspiron 15 7000 Gaming from Dell is one such model, managing to pack in a Nvidia GeForce GTX 1060 Max-Q GPU in a machine that'll cost you less than £1,000. It's backed up by a robust, quad-core Intel Core i5-7300HQ processor and 256GB SSD of memory, too. Combined together, you're getting a laptop that can run even the most demanding of games on high settings, and still have processing grunt to spare. We've already mentioned one excellent Huawei computer in this best laptops of 2019 guide, and here's another: the Huawei MateBook 13 isn't quite as premium as the MateBook X Pro in most areas, but it offers some excellent value for money, and has performance to spare as well. The option to add more RAM would be nice, and there's no Thunderbolt support here, but the Huawei MateBook 13 ticks just about every other box on the list – the screen is fantastic, performance is impressive, and battery life should last you a day on the go as well. The Google Pixelbook is the best laptop with Chrome OS on board. The Google Pixelbook is quite a strange beast, combining stylish looks and decent specs with a Chrome OS platform that doesn't really need them. It's also a little older than the other laptops here – if you do consider purchasing this, bear in mind that a replacement might not be far away. If you can afford it, this is the slickest, smoothest, best-looking Chromebook on the market right now. If you do all your computing on the web, it's the best laptop around in 2019 (though perhaps not the best value). Add in support for Android apps, and the Pixelbook Pen, and a dedicated Google Assistant button, and it really is an attractive package. Chrome OS being what it is, you don't need to worry about security software or system slowdowns, and everything is constantly backed up to the cloud.